Newport Town School students waiting for presentation by CLiF Executive Director Duncan McDougall. 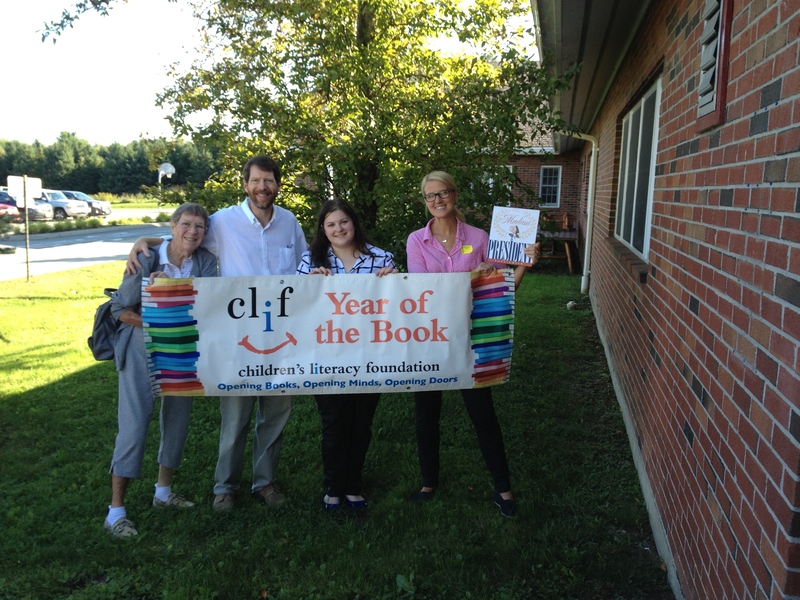 Mrs. McDougall, Duncan, NTS Librarian Jennifer Johnson, and CLiF Communications Director Tracy Goldfine. 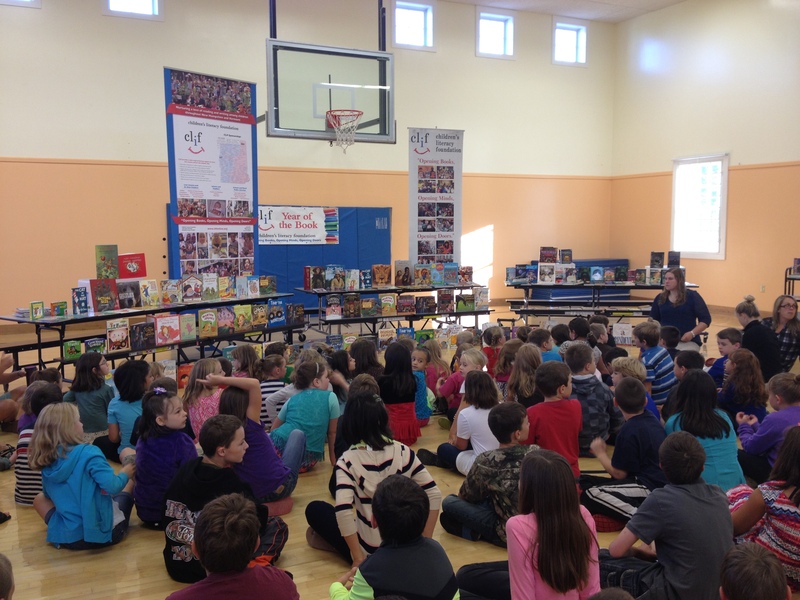 The NTS library is set up for the first book giveaway of the year! 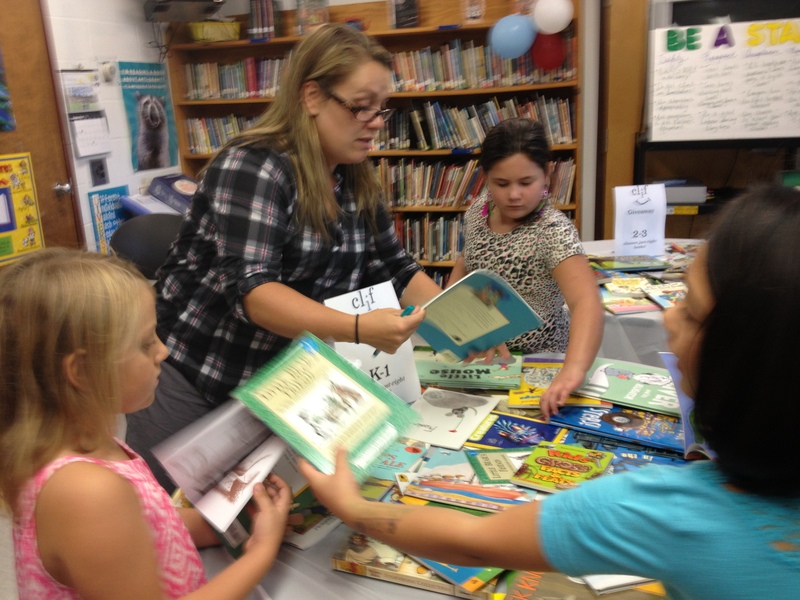 First-graders Danyka Moulton, Eliana Brasseur, and Kaitlyn Derouchie look at giveaway books with their teacher Nikki Ste. Marie. 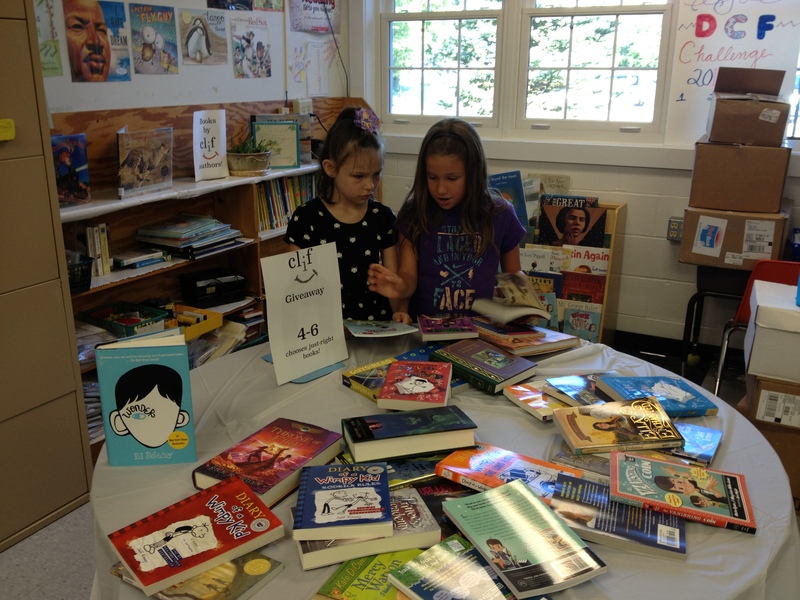 Third-graders Mackenzy Larocque and Madison Verdon peruse the giveaway books.